But have these factors gotten so out of hand that they, alone, can account for this steep rise? Or is there another contributing factor that is often overlooked? Well it turns out that, these days, non-alcoholic fatty liver disease (NAFLD) is reaching epidemic proportions. And NAFLD related liver cancers are rising right along with it. They’ve surged a whopping 400% since 2002. The problem is NAFLD is invisible. You can’t see it, and it’s unlikely you’ll feel any symptoms until serious problems set in. Most people don’t even know they’re at risk for the disease until they’re diagnosed with it. On the other hand, NAFLD is entirely preventable. And when caught in the early stages it’s even reversible. This means there is no time better than right now to start taking care of your liver. Ask your doctor for your liver enzymes tests at your next appointment. It’s pretty common knowledge that excess weight and metabolic disorders like diabetes go hand-in-hand. What is not as widely known is that being overweight and/or having poor insulin and blood glucose control also go hand-in-hand with fatty liver. This means that the same things that are good for your weight and metabolism are also good for your liver. The foods you choose to eat should be at the top of your list. In particular, a Mediterranean style diet filled with fresh fruits, vegetables, nuts, olive oil and fish – but low in dairy products and meat – is the most effective way of eating when it comes to weight loss, metabolic disorders and NAFLD. Next on the list is to get moving! If you’ve been sedentary for awhile, I’ll tell you the same thing I tell my patients. Walking is a great place to start. In the beginning, just walk at an increasingly brisk pace for 30 minutes three times a week. As you become more conditioned you can start adding in some high intensity interval training (HIIT). This type of exercise helps to reduce liver fat and improve your body composition. Just make sure to get your doctor’s permission first. The cornerstone of HIIT is interspersing short bursts of intense exercise followed by brief periods of rest…. say walking normally for two to three minutes, then kicking it up to a brisk walk, jog or sprint (depending on your current physical condition). It only takes about 15 minutes a day, four to five days a week. If you need extra nutritional help, here are some of the supplements I recommend to my patients who require added liver support. Milk thistle (420–600 mg daily) seems to be especially effective when it comes to fatty liver, since the antioxidant activity has both direct and indirect effects on inflammation and scarring in the liver cells. Choline (500 mg daily). Choline deficiency in humans is associated with an increased risk for NAFLD. And while many foods contain choline, some of the highest sources come from foods that most people often don’t eat a lot of, like liver, eggs and seafood. Vitamin D3 (5000 IU daily). People with low levels of vitamin D are about 26% more likely to develop fatty liver than those with adequate levels. This is a nutrient that about three out of four people here in the U.S. have insufficient levels of. N-acetylcysteine (500 mg three times daily) reduces levels of ALT, an enzyme associated with NAFLD and liver damage. 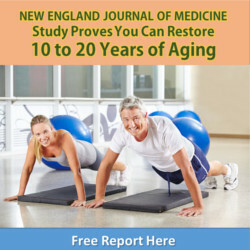 And is a critical component in your bodys’ production of glutathione, the master antioxidant. Omega-3 fatty acids (1000 mg twice daily) help reduce the build up of fat in over half of people with fatty liver, and can even lead to complete fatty liver regression in many people. Vitamin E (800-1000 IU daily) is recommended by the American Association for the Study of Liver Disease as first line therapy for non-diabetic adults with NASH, the most severe form of fatty liver. It is associated with a 43% rate of improvement compared to a 19% improvement shown with placebo. Curcumin (500 mg twice daily) reduces liver fat content by as much as 78%. I also recommend berberine (500 mg two times daily, pantethine (500-700 mg daily), alpha lipoic acid (300-600 mg twice a day) and melatonin (3-5 mg before bedtime). Trends in Liver Cancer Mortality Among Adults Aged 25 and Over in the United States, 2000–2016. NCHS Data Brief No. 314, July 2018. Wong RJ, et al. Nonalcoholic steatohepatitis is the most rapidly growing indication for liver transplantation in patients with hepatocellular carcinoma in the U.S. Hepatology. 2014 Jun;59(6):2188-95. Said A, et al. 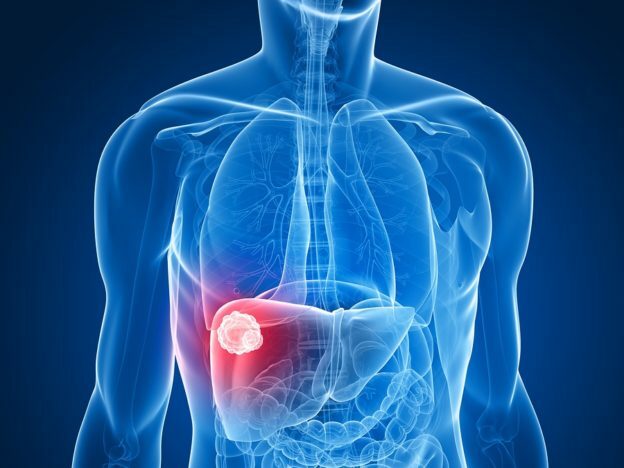 Epidemic of non-alcoholic fatty liver disease and hepatocellular carcinoma. World J Clin Oncol. 2017 Dec 10; 8(6): 429–436. Sofi F, et al. Mediterranean diet and non-alcoholic fatty liver disease: New therapeutic option around the corner? World J Gastroenterol. 2014 Jun 21; 20(23): 7339–7346. Hallsworth K, et al. Modified high-intensity interval training reduces liver fat and improves cardiac function in non-alcoholic fatty liver disease: a randomized controlled trial. Clin Sci (Lond). 2015 Dec;129(12):1097-105. Xiao J, et al. Recent Advances in the Herbal Treatment of Non-Alcoholic Fatty Liver Disease. J Tradit Complement Med. 2013 Apr-Jun; 3(2): 88–94. Faghihzadeh F, et al. Resveratrol supplementation improves inflammatory biomarkers in patients with nonalcoholic fatty liver disease. Nutr Res. 2014 Oct;34(10):837-43. Corbin KD, et al. Choline metabolism provides novel insights into nonalcoholic fatty liver disease and its progression. Curr Opin Gastroenterol. 2012 Mar;28(2):159-65. Sherriff JL, et al. Choline, Its Potential Role in Nonalcoholic Fatty Liver Disease, and the Case for Human and Bacterial Genes. Adv Nutr. 2016 Jan; 7(1): 5–13. Eliades M, et al. Vitamin D: A new player in non-alcoholic fatty liver disease? World J Gastroenterol. 2015 Feb 14; 21(6): 1718–1727. Khoshbaten M, et al. N-Acetylcysteine Improves Liver Function in Patients with Non-Alcoholic Fatty Liver Disease. Hepat Mon. 2010 Winter; 10(1): 12–16. Feng-Shang Zhu, et al. Effects of n-3 polyunsaturated fatty acids from seal oils on nonalcoholic fatty liver disease associated with hyperlipidemia. World J Gastroenterol. 2008 Nov 7; 14(41): 6395–6400. Chalasani N, et al. The diagnosis and management of nonalcoholic fatty liver disease: Practice guidance from the American Association for the Study of Liver Diseases. Hepatology. 2018 Jan;67(1):328-357. Rahmani S, et al. Treatment of Non-alcoholic Fatty Liver Disease with Curcumin: A Randomized Placebo-controlled Trial. Phytother Res. 2016 Sep;30(9):1540-8.